Boy, filming J. R. R. Tolkien’s stories in New Zealand is the best thing to happen to that country in many years. Now that “The Hobbit: An Unexpected Journey” will be hitting the theaters in a month and a half, the hype is building up over there. 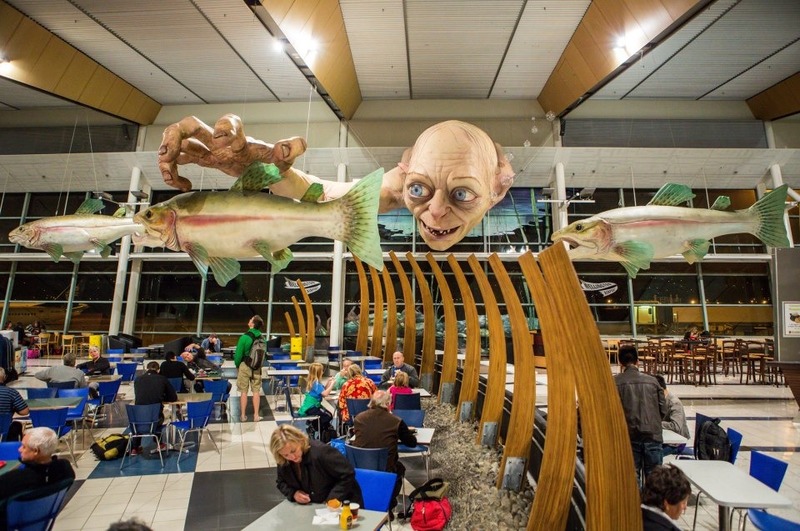 A few days ago, I saw this picture of a giant Gollum sculpture in Wellington’s airport. It reminded me of my trip to Egypt in 1979; the terminal of Cairo’s airport was decorated with a giant relief sculpture of Ramses II and the goddess Hathor. Now Air New Zealand has gotten in on the act. Two years ago (October 1, 2010), I posted a video of dancing flight attendants on Cebu Pacific, a Philippine airline. Now for the required flight safety instruction, Air New Zealand has elves, dwarves, wizards, rangers and hobbits telling you what you need to know. Even Peter Jackson pops in for a cameo appearance. I say “pop in” because he finds a neat way to get past the hassle of airline security, LOL. 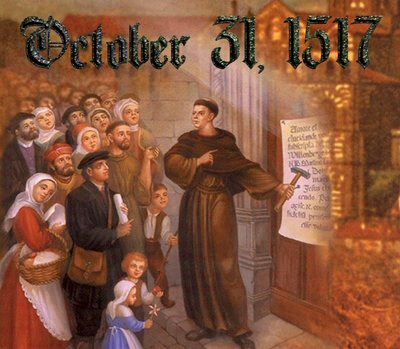 You may call this Halloween, but it was also on this day that Martin Luther nailed the 95 Theses on the door of his church in Wittenberg, thereby starting the Reformation. He couldn’t have timed it better. The next day was All Saint’s Day, always a busy day for church services, so he knew a lot of visitors would come and see what he wrote. Word of that quickly spread across Europe, and the rest, as we say, is history. 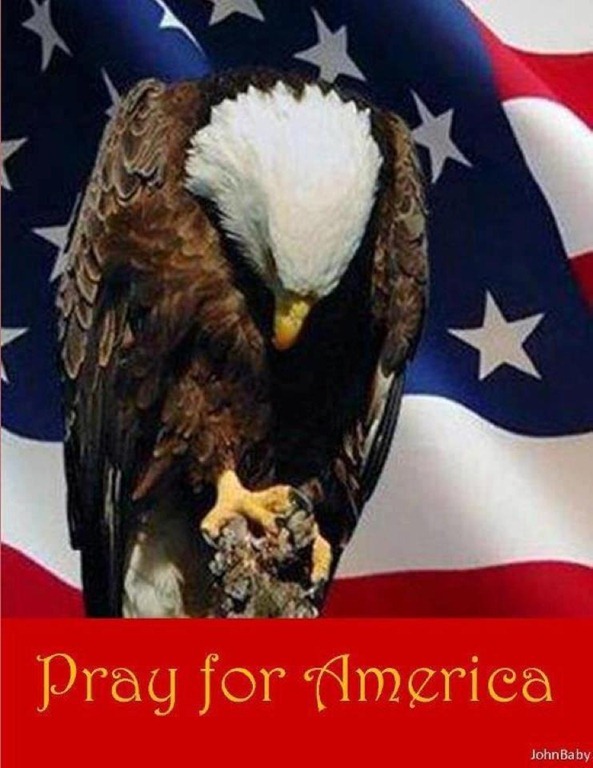 This picture was posted on Facebook this morning. Whoever put it there was thinking of the people in Hurricane Sandy’s path, but we need this for more than one reason. 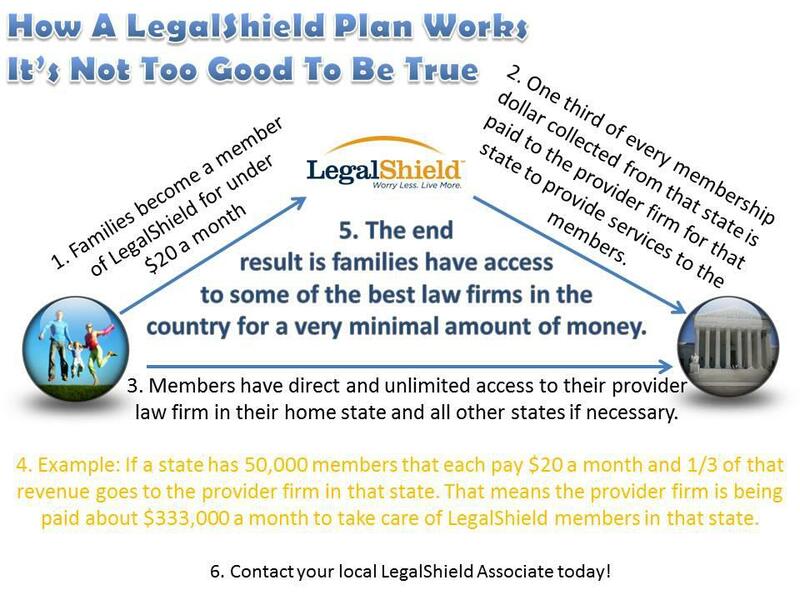 On other pages I have explained what LegalShield is all about. For a small monthly fee, you get access to a law firm, the same kind of access that only the rich could afford in the past. The provider law firm can help you with reviewing contracts, getting your will made/updated, traffic tickets, representation in court, tax audits and much more. In most places where our service is available, the fee is $17 to $26, which works out to just 57¢ – 87¢ a day. Heck, I spend more than that on coffee, and I’m not talking about Starbucks coffee! So what kind of lawyer can you get for less than a dollar a day? I’ve heard the jokes. Did the lawyer pass the bar? Was he behind bars? Did he spent too much time at the bar? All of the law firms we use have been given an AV rating by Martindale-Hubbell, meaning they are some of the best lawyers in the country. For Kentucky and Indiana we use the firm O’Koon Hintermeister, PLLC, which is rated 4.7 (5.0 is the best possible score). Rest assured, with these firms you are in the best possible hands. You could also say LegalShield sells peace of mind, because I always have peace of mind after using the service. You can’t put a price tag on that! Because everyone using the service is making a regular contribution, those small amounts add up to six or even seven figures a month. This changes the lawyer’s attitude in your favor. He won’t demand a large sum of money up front before deciding if he will handle your case, nor will he try to squeeze as much as he can out of you by charging for additional hours. Instead, in most cases he is paid all he going to get in advance, so he is motivated to get the job done right the first time. And because of the amount the firm is paid, you automatically become their most important client! 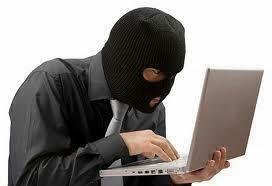 What the picture does not show is that we also provide identity theft protection and restoration. Identity theft has been called “the silent crime,” because weeks, even months can go by before you realize you are a victim. It is also the fastest growing white-collar crime, because anyone with a computer and skill at hacking can do it. They don’t even have to leave home; like a blogger, the thief can work in his pajamas, with a doughnut in one hand. Moreover, only a small percentage of the crooks get caught, and the police don’t always know what to do when they catch one. Therefore it is not an issue of if you will become a victim of identity theft, but when. It happened to me in December 2011, when somebody got hold of my debit card number, but with a little help from our service, I got my money back in two weeks. In fact, I was more concerned about getting a new debit card than I was about the money. For identity theft cases, LegalShield has partnered with Kroll, one of the world’s leading risk management agencies. Many of Kroll’s caseworkers used to work for the government, as former FBI and CIA agents; I like to call them the “real men in black.” They will do whatever can be done to hunt down the thieves, even if they are in another country, and then do the drudge work involved with restoring your good name and credit rating. Normally Kroll works with the military and governments; only through LegalShield can individuals get Kroll. But you don’t have to take my word for it. For an objective opinion, check out this chart from TheWholeSkinny.com, which compares the seven leading identity theft protection services. The authors of the survey concluded that LegalShield & Kroll offer the best deal. You can get identity theft protection from me for just $12.95/month by itself, or $9.95/month when combined with the basic LegalShield package. Finally, you can make money as well as save money, by becoming an Associate like me. By the time you read this we will probably be advertising on TV throughout the United States and Canada, and when that happens, demand for our services will literally explode. 80 percent of Europe already has some kind of legal insurance; in west Germany, you can’t get a driver’s license without it. Knowing how our governments like to imitate Europe, it is only a matter of time before most North Americans will have legal insurance, too. Would you like to take advantage of that opportunity? Click here to watch a more detailed video on the services. Click here to watch a video on how to make money from the services. Click here to get the services, and/or to become an Associate. What Should We Do If An Endangered Animal Eats An Endangered Plant? Forget Abortion! NPR Promotes The ‘Rights’ and ‘Souls’ of Plants | NewsBusters.org. 1. We have been modifying plants, through natural selection, ever since agriculture was invented. Botanists, for example, will tell you that corn plants originally came from a Mexican grass called teosinte. That’s why I didn’t see it as anything new when some folks started protesting the genetic engineering of plants, claiming this was creating “frankenfoods.” To me it was a continuation of a trend that has gone on for more than 5,000 years. How can that be undone, without causing most of the human race to starve? 2. Plants are not totally helpless. Remember the late Harry Harrison’s “Deathworld,” a science fiction story about a planet where every living thing is trying to kill humans. That included plants and microbes as well as animals; on that planet, when weeds, thorns and poisonous vines got in your way, they grew there on purpose! And plants are just as capable of getting out of control as animals. Just think of tumbleweeds and mesquite in Texas, prickly pears in Australia, or water hyacinths and melaleuca in Florida. If they are pressed hard enough, I expect they will strike back. 3. And speaking of mineral rights, the inanimate earth can also do a number on us. I don’t have to tell my readers how an earthquake or a volcano can ruin your day. Arrgh, just when I thought I was a safe distance away. 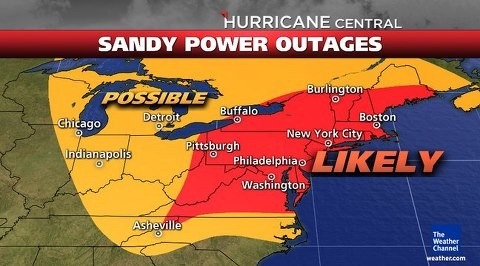 This map from the Weather Channel shows most of Kentucky, including my neighborhood, in the area where power outages are possible. They could also happen even for my aunt & uncle in Chicago, and for my sister in Wisconsin. A new James Bond movie has just come out, and what do you think of when you hear about them, besides the dapper secret agent himself? Black-hearted villains, beautiful female sidekicks, and nifty gadgets, right? Now let’s apply that to the real-world Middle East. Israel is surrounded by plenty of villains; fortunately they’re not as bright as Bond’s opponents (see what I wrote about that here). Israel definitely has the women; Bar Rafaeli, Maxim Magazine’s #1 model of the year, is from Israel, and you can’t go through a group of pictures of IDF soldiers without seeing some lovely ladies. And when it comes to gadgets, the Israelis have invented some that Agent 007 doesn’t have yet. How about some mini-robots that can act as additional soldiers or spies? Click on the link below for pictures and a video showing three of the latest. 3 Amazing IDF Gadgets James Bond Wishes He Had.